Yes. Wish Wish is a licensed contract passenger carrier, DMV permit 1252. This permit requires proper insurance and bonding. If you are comparing transportation companies for your tour, make sure they are properly licensed and insured. To check the DMV database of licensed transportation companies, click here. What Is The Best Day To Tour The Wineries? Most people prefer Saturday, and the is precisely why we recommend our customers to pick another day if their schedule allows them. You will avoid having to wait for tastings and/or food, so you simply get more out of your tour on non-Saturdays. How Do I Select My Route? You can use our Tour Planner to help plan your tour and minimize drive time. The Tour Planner allows you to create your own route, or select one of our recommended routes. Note that most wineries can get very crowded on Saturdays and require reservations for groups 7 and more. The Tour Planner shows the reservation policy per winery. I Prefer Beer, How About a Beer Tour? Charlottesville's breweries are great, so we made sure we got you covered. 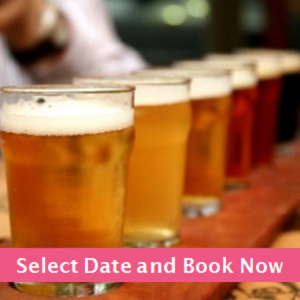 Select the tour you like best, and than simply select one of our beer routes. Note that several breweries have great restaurants, so you might want to consider purchasing an extra hour or so to wrap up the tour with a nice dinner. Cheers! Do You Offer Pick Up and Drop Off Outside The Charlottesville Area? Yes. Simply select your pick-up area when booking. The tour price might change to cover the time for the tour guide to get to your location and back again. Tour time runs from pick-up to drop-off. Call us on 434 202 1615 if your pick-up area is not listed. If you want to be picked up in the Richmond area, check out our website for wine tours starting in Richmond. How Do I Set My Pick Up Time, Location and Route? Should We Make a Reservation at the Wineries We Want to Visit? Parties up to 6 can visit wineries without reservations. 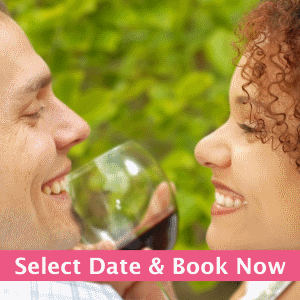 Many wineries however require groups of 7 and up to make reservations in advance. Please do, as groups will be sent away. Our Tour Planner helps to create a route and shows where reservations are needed and the contact info. Make sure you get the most out of your tour. Why Doesn't Wish Wish Make Winery Reservations for My Group? Unfortunately we can't make your group reservation, and it's not because we just don’t feel like it. Wineries often ask for prepayment of group tasting fees. As ABC laws don't allow us to sell tasting fees, only you can take care of this. Believe us, if we could we would. 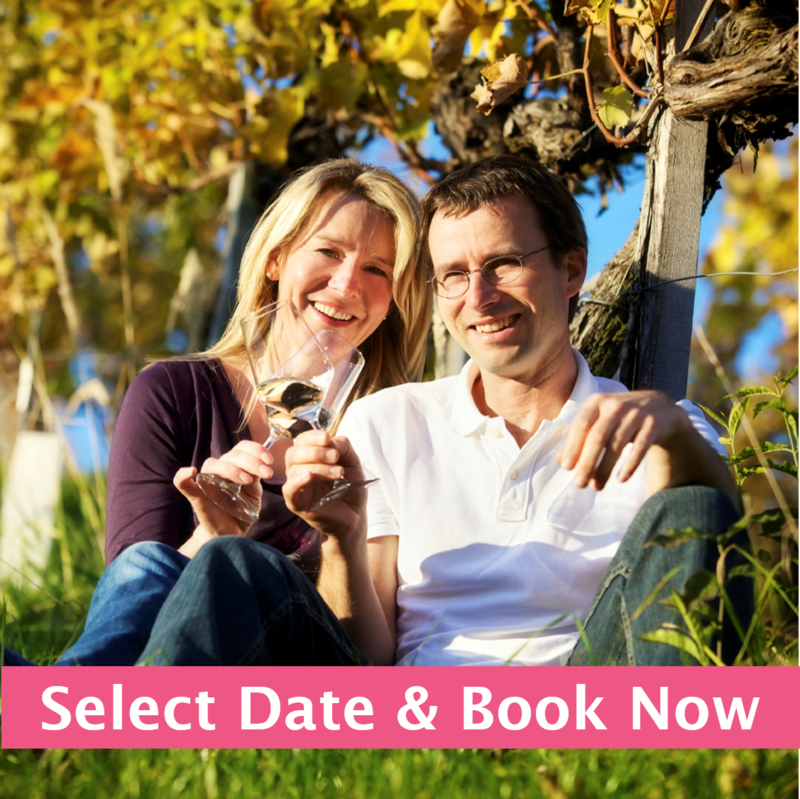 We do want to make it easier for you though, so we offer all the wineries contact information on our Tour Planner Reservations are only required for groups of 7 or more. No. Virginia law demands that you pay the tasting fees at the winery, typically $7 to $12 per person. Most wineries wave those fees if you purchase wine. Inquire at the winery you're visiting. What Is Common For Gratuity? Most people tip the driver like they tip the waiter in a restaurant. Tip is not included in the purchase price of your tour and is well appreciated by the driver. How Do I Reschedule My Tour Date? To reschedule contact us by shooting an email to Charlottesville@WishWishWorld.com. You can change the date up to 7 days before your scheduled tour. Cancellations up to 14 days ahead are refunded minus a 20% cancellation fee. Cancellations on shorter notice unfortunately can't be refunded. However, tours can be rescheduled up to 7 days in advance. We totally get that customers want to be able to cancel or reschedule last minute. However, there is an impact on our side we have to calculate with. Wine tours are a low margin business, and we offer our tours at the lowest possible price. As soon as a tour is booked, we block the driver, vehicle and/or seats for you. Experience shows those vehicles or seats will go unused if we allow last minute cancellations, as we won’t be able to sell these on short notice (most customers book at least 2 weeks ahead). The result is lost revenue. And that hurts, as we want to keep prices low and run a sustainable business. Our cancelation policy is the result of balancing the customer's need for flexibility, and our need to be sustainable. Between booking and the tour date, life happens. Our cancellation policy allows you to cancel your reservation up to 2 weeks ahead of your tour for an 80% refund, or reschedule up to 1 week of your tour. If you want more flexibility, our Cancellation Extension is the way to go. 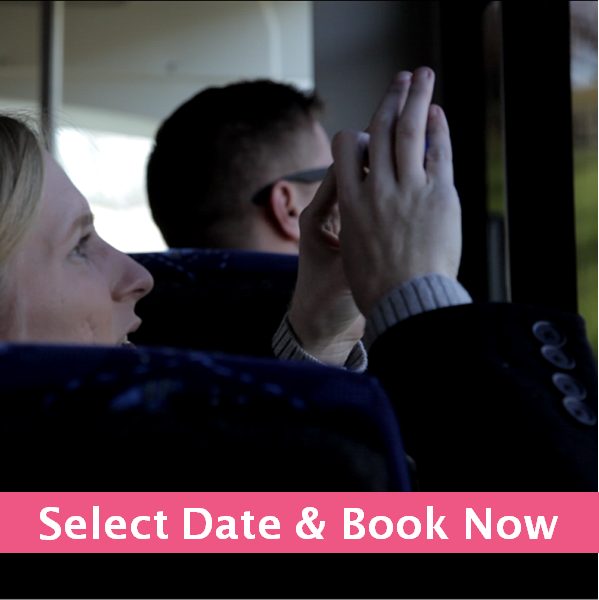 You can cancel for an 80% refund or reschedule until 4 PM the last business day before your tour. If this extension is available for your tour, you'll be able to purchase it when making your booking. We hate small print, but unfortunately some is needed. Click here for our terms and conditions that you have to agree to in order to make a booking. Is Online Payment Safe on This Site? Our website uses a secure connection, see the https in the address bar. That way we make sure nobody can see the information you fill out. We apply the latest software fixes and updates to protect your information. However, if you still feel uncomfortable paying online please give us a call on (434) 202-1615. Yes, we do offer gift cards. click here for details and how to purchase. Help, I Need A Wine Tour 101! What to do, and – perhaps more critically – what not to do when going on a wine tour. Here are some tips on how to get the most out of your wine tour. Select up to four wineries to visit – less for a group of 8 or more – and incorporate activities like tours and a big lunch break. By building in moderation you ensure you will have an enjoyable day and evening. We are more than happy to help you create a fun route for your group. Many wineries require reservations for groups larger than 6 or 8. You'll find the group policy and contact information on the website of most wineries and on our recommended route pages. Tours are offered at many wineries, and reservations for these activities are often strongly advised or even required. Most tasting rooms offer a relaxed and conversational environment. Choose comfortable and casually elegant clothing and be sure to bring weather-appropriate gear (e.g. umbrellas and sturdy shoes during the rainy season; lighter clothing, hats and sunscreen in peak summer periods). Don’t wear perfume or heavily scented cologne to tasting rooms; the scents can overwhelm the subtle aromas in wine – and interfere with your own and others’ experience. Most wineries charge tasting fees. Tasting fees for groups usually are a bit higher because wineries have to make special arrangements to accommodate your group (e.g. assign a dedicated pourer and/or private tasting room). Many wineries will waive tasting fees with a wine purchase, be sure to inquire about such incentives. 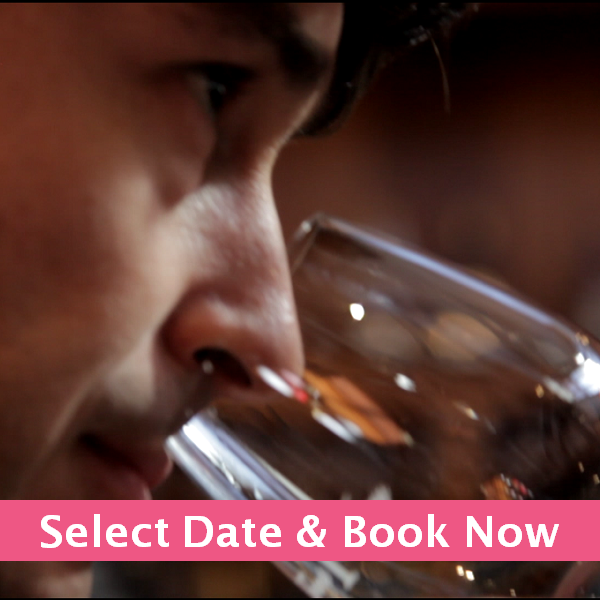 Splurge on a reserve tasting if you’re interested in getting to know a wineries' rare and exclusive offerings. It goes without saying that wine tasting is largely about having fun. But for those looking to glean the most from the wines on pour, swirling is a great way to stoke (read: aerate) wine’s myriad aromas. For maximum control, place your glass on a flat surface and swirl while grasping the stem. When tasting, hold glasses by the stem rather than the bowl; holding them by the bowl coats glasses in greasy fingerprints and can disturb the temperature of the wine (ideally it’s been poured at just the right temp). Inhale deeply before taking a sip; wine’s aromas comprise one of its most beguiling offerings! Which fruits and herbs do you smell; is there a hint of leather, chocolate, licorice, vanilla or earth? Rest assured, there is no clump of dirt in your wine, the aromas come from the type of grapes, the climate, the soil, the rain, the fermentation process and aging. The most common example is the ‘vanilla’ aroma associated with wines ages in oak. Upon drinking, swirl the wine around in your mouth to ensure it coats all the surfaces; we pick up different texture and flavor sensations in different parts of our mouths. You will find that if you smelled for example cherries in the wine, it will be easier to actually taste the cherries when sipping the wine. Make use of spittoons – or tasting buckets – on offer on bars. Spitting all or a portion of the wine you taste will help you to remain alert and get the most out of your experience. There's usually water available to rinse your glasses between pours. Also drink plenty of water to stave off dehydration. Purchasing wines you’ve enjoyed is a great way to keep the memory going once you’re back at home. Make sure you’re aware of shipping laws applying to your state if you need to ship wine back home; if you’re flying, consult your airline about weight, quantity and liquid restrictions. Most wineries have wine clubs that offer periodic shipments of wine on an ongoing basis. Besides the wines that come with memberships, benefits and perks abound. Don't Forget the Tip! If you've enjoyed the tasting, please leave a tip, it's a huge compliment for the pourer! Following these tips should ensure a smooth wine tasting and – even better – afford you the ability to focus on making memories rather than sweating the details. Cheers to that! Are people under 21 allowed on the tour? Yes. However, drinking on the vehicle is not allowed when a person under 21 is around.